Eye supplements help you get enough of the valuable nutrients for healthy vision. Designed to nourish the eyes and assist the natural protective mechanisms that are essential for healthy vision throughout life. Lutein concentrates in the eyes macular and lens and protect the macular from degradation associated with aging and oxidative stress. These products contain eye protective essential minerals, flavonoids, antioxidant nutrients and carotenes required for eye health therefore supporting vision. Oceans 3™ Beyond Omega-3™ is an ultra pure, high potency fish oil rich in EPA and DHA. 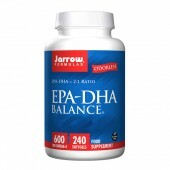 Rich in Omega 3 essential fatty acids EPA (Eicosapentaenoic Acid) and DHA (Docosahexaenoic Acid) which are beneficial for the maintenance of healthy bones.